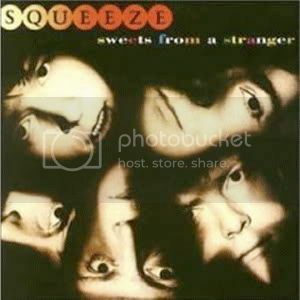 Two overlooked Squeeze gems from 1982's Sweets from a Stranger. The album got bad reviews I guess but these tracks are hot, "strangers" is a kind of skittery funky thing (but with the obvious squeeze-isms) and the other a sort of gooey new pop confection. Hm, never listened to this particular album and those are definitely two choice cuts. Thanks for sharing, your blog is alot of fun and full of unique vision to boot!